Hawthorne is probably one of the most racially-controversial cities in California from History. The city was propounded by two visionaries; B.L Harding and H.D Lombard, the name ‘Hawthorne’ was chosen by the duo as the name of the city because Harding’s daughter shared the same birthday with a respected author Nathaniel Hawthorne, which was July 4th. Hawthorne which started out as the ‘Hawthorne Improvement Company’ was originally intended to be a whites-only city, with strong injunctions against non-white persons from gaining access into the city. African-American residents were covertly asked to leave the city in the 1930s due to their racial heritage; as a result, many blacks left the area. In time, the biases were removed and free access granted persons of other races. Today, Hawthorne stands as a modern city. One that enjoys the many blessings of proper structure and an enabling set of codes for business and organization. To that effect, the city accommodates varying kinds of businesses. If you need an attorney for any legal matter, then you definitely want to consider Rawa Law Group and our team of proficient attorneys. We would like to take on your case and apply our methods that have secured hundreds of millions for many grateful clients in our two decades of existence. We would be honored to handle your case, and help you get the results that you desire –allow us to show you reasons why you should opt for legal services provided by Rawa Law Group. We offer a topnotch representation; our attorneys leave nothing to chance in the evaluation of your case, we ensure all t’s are crossed and all I’s are dotted. Our services are carried out by some of the most revered ‘big names’ in the legal industry. We have a formidable following, an outstanding reputation and all the charisma needed to bring you the excellence that you need. We will fight for you relentlessly, advocate for you and bring you the very best of our legal expertise. We anchor every accepted case to the value of our integrity and reputation, so you can be sure that once we choose to represent you, we will and can stake it all. You will be kept in the loop as your case unfolds. Up-to-date status report, regular information relay, and non-stop professional counseling are a part of what we offer our clients. Our attorneys are happy to visit you at home, at the hospital or at your place of employment in order to help you get started with your case. Of course, these meetings will be set according to your convenience. We will avail you with an unrestricted legal help from our trusted team of attorneys who have got several decades worth of experience combined. Rawa Law Group has attorneys who have had firsthand experience at bringing claimants the best outcome possible. We have handled multiple cases, in our twenty years of active service, we have come across virtually every case in the book, and handled them expediently. We would like to avail you of the excellence of our expertise, carry your case through from start to finish with the competence and vigor your case needs. Our attorneys at Rawa Law Group include some of the most accomplished in California and in their time, they have received their due recognition for the flawless services they have carried out. We would be thrilled to represent you, to give your case the thorough attention and service it needs in order to place you in the most favorable spot in court. We will help you get the most out of your claim, by leveraging the law and our expertise in your favor. We offer our clients a free consultation service that is set to help them understand better what their odds are and what they should do for the circumstances that they are in. Our attorneys are poised to answer all your questions and provide invaluable counsel to you that will guide you every step of the way. 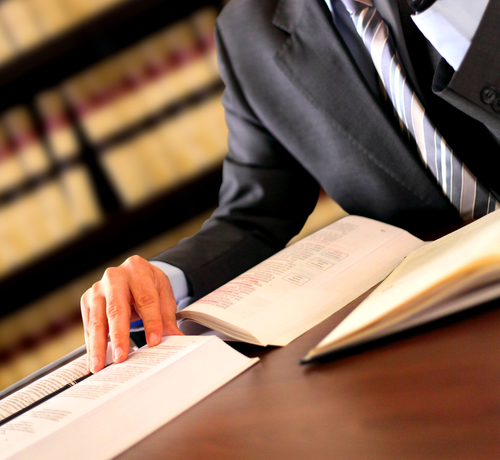 We are proven professionals ready to avail you tiptop legal service for any subject or claim that needs attention. If you work in a firm and have been denied of the earnings that you are due as a result of the overtime work you put in, then our attorneys can help you ensure you are paid the overtime fees you are owed along with any other costs or losses you incurred as a result. Putting a firm together? Need to have your financial documents and allied papers right? Then allow our experienced minds work on transforming your startup or vision into the formidably incorporated company you dream to have. If you or someone you love has suffered injuries resulting from a pedestrian accident that occurred, then we can help you get justice for you or your loved one. Most of the accidents are prompted by the negligence of those involved, with the involvement of our expert attorneys; you stand a great chance of being compensated for the hurt you have endured. If you seek a proficient Hawthorne attorney, one who is well versed all the listed claim options and more, then Rawa Law Group is your best bet. We have a competent team of legal practitioners who are ready to go above and beyond in giving you the best representation that your case needs. We will help you get the closure and attention you need, the support necessary for you to have a stable life afterward. We are ready to serve and get you started on your path to victory. Visit our contact office or simply place a call through to our TOLL-FREE number 1-844-444-1400 to schedule a consultation.